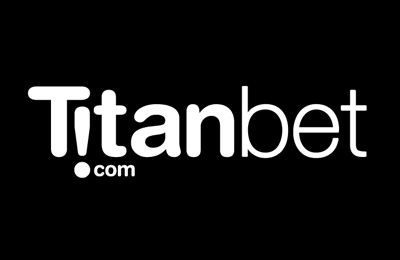 Established in Antigua and Barbuda in 2009, Titanbet is a bookmaker that belong to PT Entertainment Services Ltd, a subsidiary of Playtech plc, the largest online gaming software developer in the world. For British customers, the company is licensed by the UK Gambling Commission. The sportsbook prides itself on having some of the best odds on the market. This Titanbet review will focus on the sportsbook offers of the bookmaker. Among others, the payment methods, the sports portfolio, customer service, the Titanbet welcome offer and the respectability of the bookmaker will be scrutinised. You will get a welcome offer in form of a 100% deposit match with a maximum value of 50 GBP. So if you deposit 50 GBP, Titanbet will credit 50 EUR to your betting account. Outpayment Condition: The money and the bonus amount have to be play out 7x. Just bets with a 1.50 rate will be accepted. Get a 10 GBP free bet for every 200 GBP mobile bets you place. Place an Accumulator of 2 or more legs and boost your winnings up to 50%. On top you get a free bet up to 25 GBPif one selection lets you down in a 5 Fold+ Acca. Get a free bet if you horse falls. The Titan brand has been in the gaming business for some time since Titan Poker was founded in 2004. As such, the brand was quite well-known for offering Casino and gaming products. In 2009, the sportsbook Titanbet was launched. Since then, the bookmaker has already achieved a loyal customer base. Titanbet is part of PT Entertainment Services Ltd which is based in Antigua and Barbuda. As a result, the company has an interactive gaming license from the Antigua and Barbuda Financial Services Regulatory Commission. For UK punters though, the sportsbook is remotely licensed by the Gambling Commission of Great Britain. This Titanbet review finds that all of these facts speak in favour of the online betting provider. In fact, PTE belongs to Playtech which is listed on the London Stock Exchange and employs around 5,500 people in the Isle of Man. The current Titanbet bonus offer is a 100% match of your first deposit up to 50 GBP. The minimum deposit amount is 10 GBP. Please note that Neteller, Moneybookers, or Entropay are not eligible payment methods for this Titanbet promotion. To activate the bonus, you simply have to wager the amount you deposited once, so minimum 10 GBP and maximum 50 GBP, at odds of 1/2 (1.5) or greater. You have to do this within 7 days of depositing. Your matched deposit bonus will automatically be deposited into your account. Before you can withdraw your funds though, you have to fulfil additional rollover requirements. Your original deposit amount + the bonus amount must also be wagered seven (7) times at odds of 1/2 (1.5) or more during the following 14 days. Single bets up to 50 GBP will count towards the rollover. Furthermore, you must have a minimum of ten (10) bets at 10 GBP or more. The maximum bonus winnings that can be withdrawn once all the requirements are fulfilled is 500 GBP. There was no Titanbet bonus code at the time of our Titanbet review. The Titanbet welcome offer is a great way for punters to get to know the betting site, but the requirements are not that simple. For this reason, our Titanbet review has drawn up step-by-step instructions to help you obtain your deposit match bonus. Step 1 – Registration: Go to the Titanbet website and click on “Register now!” written in green at the top of the homepage. Fill in the registration form with your personal details, including a username and password, as well as a security question. Step 2 – Making a deposit: Once registered, you are taken to the cashier page. Click on “Deposit”, select a payment method and deposit a minimum of £10 (£50 for the full bonus amount). N.B. : Neteller, Moneybookers, or Entropay are excluded from this bonus offer. Step 3 – Fulfil the deposit match bonus conditions: Place one bet between £10 and £50 at odds of 1/2 (1.5) or greater. Once this bet is settled, Titanbet will credit the amount of your deposit to your betting account. You have 7 days to do this. Step 4 – Withdraw the bonus amount: In order to withdraw the winnings from your bonus (max. £500), you must wager the sum of your deposit and bonus seven (7) times at minimum odds of 1/2 (1.5) or higher. You can place any bet on any sport, league or event at Titanbet. The bets must be settled within 14 days of bonus activation. During our Titanbet review, we were glad to see that existing customers also have plenty of promotions to choose from at this bookmaker. For instance, punters who enjoy using their mobile phone for betting can take advantage of the “Mobile Loyalty Free Bets”. All you need to do is place 20 bets of £10 minimum from your mobile phone and you will receive a £10 free bet. This can be used on any sports market and the offer can be repeated 10 times (max. bonus of £200). Another interesting promotion is the “Golf Free Bet”. If your golf outright bet finishes 2nd or 3rd, Titanbet will give you the win part of your stake as a free bet (max. £25) within 24 hours of bet settlement. The sports selection at Titanbet offers a range of more than 20 sports. In fact, you can find around 7,500 different bets on a daily basis at the sportsbook. As usual, football is the sport that has the most betting options. Matches of international and local leagues are offered. Not only in England but also in Africa, South America and the European continent. Popular sports such as tennis, basketball, ice hockey and motorsport are also represented at Titanbet. You can even bet on fringe sports like cricket and snooker. As far as depth is concerned, then Titanbet has plenty to offer. Titanbet offers a wide variety of bet types such as match result, correct score, both teams to score, as well as less common offers like win both halves and win from behind. Punters will surely find what they are looking for at this bookmaker. Furthermore, virtual sports are also part of the portfolio with cycling, speedway, greyhound, basketball and, of course, football. Finding the live betting section is not a problem at Titanbet. At any time of day or night, you will find a complete portfolio of live bets: Football, tennis, handball, volleyball, ice hockey, etc. Even though the live betting offer of the bookmaker might not be able to compare to the real giants in the business, it is still quite good. As far as live streaming is concerned, this is quite thin. All UK and Irish horse races are available if you place a £1+ bet, but that is about it at Titanbet. There is definitely room for improvement here. Regarding betting odds, our Titanbet review noticed that the bookmaker is not very lucrative. There are better odds at other bookies. The odds key is around 94% on average, which is good, but not the best. You might get up to 96% on certain top football events, but in the lower leagues, this can go all the way down to 90%. There is still some work to be done here in the future. Overall, our Titanbet review has shown that the bookmaker based in Antigua has some strengths and some weaknesses. The sports portfolio is definitely a good reason to start betting at Titanbet. The selection of betting markets for each sport might not be that broad, yet it is still quite large. The live streaming section should be expanded to include more sports since most punters really appreciate this feature. The betting odds are mostly average, so there is work to be done here. The Titanbet welcome offer in the form of first deposit match amounting to 50 GBP is quite good, although the rollover requirements might be a little bit difficult to fulfil for a newcomer to the betting scene. Our experience with the customer service was positive and there are many ways to reach the support team. Finally, the overall performance of Titanbet is still positive. Our Titanbet review was impressed with the number of payment methods offered by this bookmaker. Among others, you will find here the usual debit and credit cards (Visa, MasterCard, Diners Club, Visa Electron), prepaid card (Paysafecard), e-wallets (PayPal, Skrill, Neteller), instant banking and bank transfer options, Entropay and even Bitcoin is available. The minimum deposit amounts range from 5 to 10 GBP and all transactions are free of charge on the part of Titanbet. In most cases, your funds are available instantly, except for bank transfers. Step 1 – Go to the banking section of your account: Go to the Cashier page in the “My Account” section. Click on “Deposit”. Step 2 – Select the desired payment method: Select the deposit option you prefer, enter the amount and currency. Step 3 – Transact: Fill in any additional information required by the financial institution. Confirm your transaction. Your funds should be in your betting account within a few minutes. If you want the withdrawal process to be quick and efficient, then our Titanbet review recommends using the same method as for your deposit. Titanbet does not charge any fees for withdrawing your funds. The various payment methods have minimum amounts though ranging from 5 to 50 GBP. As a rule, e-wallets have the fastest processing time of up to 24 hours, followed by credit/debit cards with 1 to 3 banking days. The slowest withdrawal method is a bank transfer with up to 10 days. While you are betting at Titanbet, you might need to contact their customer service. The first thing to do is to check out the FAQs and see if your question has not been replied to already. Of course, if you need a quick answer, then the best thing to do is to contact the live-chat. According to our experience during the Titanbet review, the support staff responds very quickly and efficiently. Alternatively, you can call the bookmaker. For the free UK hotline, dial 0800 327 7261 between 8 am and midnight. Finally, you can always send an e-mail to support.sport@titanbet.co.uk. When it comes to social media, then Titanbet is quite popular on Facebook and Twitter (@titanbet). Here you can find all the most recent sports news, match results, betting odds, Titanbet promotions and much more. During our Titanbet review, we saw that if you followed Titanbet on Twitter for instance, and “retweeted”, then you could win a £100 free bet! Since there is a good balance of news and offers, you do not get the feeling that the bookmaker uses these channels only for sales purposes. Reliable or scam: How safe is Titanbet? Titanbet is a bookmaker that punters can rely on since it is very serious. Transparency is important to the sportsbook and crucial information can be found readily on the website. All data is transmitted using SSL encryption to protect your privacy and security. Although some punters might be a little suspicious of this bookie since it is based in the Caribbean, UK customers should rest assured because Titanbet is regulated by the UK Gambling Commission. In addition, licenses from Antigua and Barbuda are now known to be as reputable as European ones. In addition, our Titanbet review notices that the online betting provider is committed to Responsible Gambling and has implemented a number of services to prevent you from becoming addicted to betting, such as daily, weekly and monthly deposit limits. Does Titanbet offer Virtual Betting? Yes, it does. With Titanbet, you can make wagers on virtual events by clicking on the “virtual” tab at the top of the screen. The portfolio includes football, horse racing, tennis, basketball, cycling and speedway. Is Titanbet licensed in the UK? Yes, it is. The UK licence number is 39123. The licence holder is PT Entertainment Services Ltd, who also operates the brand Winner. Titanbet also holds relevant European licences, as well as being regulated by the Antigua and Barbuda Financial Services Regulatory Commission. Is there a Titanbet App? No, there isn’t. Actually, this Titanbet review noticed that the bookmaker only has what it is called an instant app, so an optimised page version for iOS and Android devices. Blackberry and Windows users can also place their bets via smartphone and tablet. How do I access “My Account”? To access the “My Account” section, just click on your username at the top of every page of the website once you are logged in. Your Titanbet account is like a control panel where you can make deposits or withdrawals, place bets, and much more. This is also where you will find your current balance, betting history, open bet, etc. Is there a Cash Out option at Titanbet? Yes, there is. A “Cash Out” button appears near the bottom of the screen when the option is available. So you can press on it and run with your money!